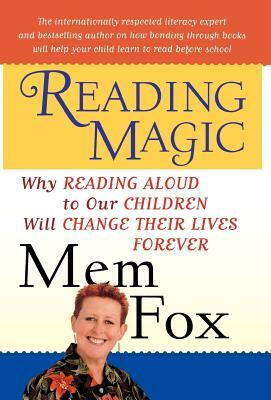 The idea for a “read aloud revolution” first began at work. As you know, I’m a children’s librarian who has worked primarily with preschoolers, and in recent years, through my job, have learned a lot about how children learn to read. My interest was really piqued, though, when the Association of Library Services to Children (ALSC – a division of the American Library Association) and the Public Library Association (PLA) teamed up to create a curriculum that librarians could use to learn about, and incorporate, more early literacy skills development in their storytimes. It was also designed to help librarians educate parents about early literacy and what parents, as a child’s first teacher, could do at home. This was a revolutionary concept for some librarians – breaking that 4th wall in storytime and speaking directly to parents in order to share “early literacy tips” with them – and it was a difficult idea for many of us to get our minds around. Our storytimes have ALWAYS incorporated early literacy learning (the acts of reading a story aloud, singing songs, doing fingerplays and reciting rhymes build language skills, storytelling skills, comprehension skills, and, most importantly, a love of books and stories), but the idea that we were EXPERTS in early literacy, and had something to teach parents, was new. For some reason unknown to me, I quickly embraced the idea. I think it was in part due to the excitement I felt when I learned how EASY it could be to prepare a child to learn to read, but how IMPORTANT it was to begin early. Early literacy became my passion. I started working with a group called Colorado Libraries for Early Literacy where I was able to share ideas for promoting early literacy learning in the library and learn more about the brain development of the young child. And as I learned more and more, I became more passionate about sharing the information with… well, EVERYONE. Truly, my friends with children can’t get me to shut up. I am here to start a revolution. A revolution that will change the world, one child at a time, and it begins today and with all of you! A read aloud revolution! “In 1975 our daughter, Chloe, came home from school in a state of excitement and said, “I can read!” She was four years old and had been at school for two weeks. We smiled indulgently as parents do when they think their child is cute. Read? She had to be joking. She ran to her room and came back with The Foot Book by Dr. Seuss, one of her favorites at the time, and read it to us word for word, with expression. We were beside ourselves. But could she really read? We had read that book to her so many times, we thought she might have memorized it. We hesitated, not wanting to dampen her wild enthusiasm, then bravely opened the book at random to see if she could read a page by itself, without reciting the whole book by rote from the beginning. She read that page, and another page at random, and another. At the time, I was a college professor teaching drama. I knew nothing about the teaching of reading. In my eyes I was “only” a mother. I rushed to Chloe’s school the next morning and told her teacher what had happened. “Well, there you go,” said the teacher, as if that were that. When I first read this passage in Fox’s book, I had to stop and consider. Is it really as simple as that? C’mon. Reading aloud with kids is fun for them, sure, and they learn something, and it’s a nice way to settle them down before bedtime, but will the simple act of sharing books with a child, every day, cause a child to learn to read? Here’s a revolutionary fact I’ve learned: YES, it really is AS SIMPLE AS THAT. Children who are read to, regularly, from birth, become readers. By hearing stories read aloud and using books, they develop important early literacy skills such as how to use and recognize print, an awareness of phonics sounds, and learn how to identify letter shapes and sounds. They grow their vocabularies and become able to tell stories and predict what will happen next. If a child has developed this early literacy foundation, he or she will have an easier time learning to read. Cognitive development is the product of two interacting influences – brain growth and experience – both of which exert their greatest impact during the first five years of life. The developing brain triples in the first year alone and is virtually fully formed by the time a child enters kindergarten. This period is critical and sets the stage for all of later learning and adult functioning. What does this mean? It means that what we do for a child in the first five years of their life sets the stage for that child’s future educational success. In fact, this same report states that: “studies by the Center on the Developing Child at Harvard University show that of 50 children having trouble learning to read in Kindergarten, 44 of them will still be having trouble in third grade.” In other words, children who start behind, stay behind. They do not catch up. They WILL probably NEVER catch up – not in 3rd grade, not in 7th grade, not in 12th grade. In addition to all the brain development and early literacy skills learning that goes along with reading aloud to children, there’s the added benefit of the warm, safe, happy feeling that comes along with snuggling in a loved one’s arms and sharing a book. Children need to associate reading and books with happy times in their lives. The children I read to get excited when I walk through the door with new books. They greet me with hugs and yells of “Miss Mary!” They ask, “did you bring us new books?” and when we’ve finished a story, they often as me to “read another book”. Now, I don’t have any magic formula for reading aloud that gets kids to listen. I merely make sure that we are always having fun. For me, that means occasionally crying like a dinosaur, but that’s another story. Think for a moment about something you hate to do. I HATE folding laundry. I put off folding laundry far too long, because I just don’t enjoy it. I’m not motivated to do it, and that’s why I put it off. Now think of something you LOVE to do. I happen to love to bake – cookies, especially. So when it’s time to bake, I jump up, get out the ingredients, and get to work! I’m motivated, because I enjoy the process! It’s the same thing for children learning to read. If books and reading are fun for them, because they’ve been exposed to regular and repeated positive experiences with books like snuggling up with mom or dad at bedtime or attending a really engaging library storytime, they’ll be motivated to learn to read on their own. Hey! Books are fun! I want to learn how to read them on my own! If they’re motivated, they’ll practice reading. And the more they practice, the easier it gets. The easier it gets, the more they’ll read. Librarians and teachers know reading aloud to children is important and will dramatically affect a child’s educational future. Many government and non-profit agencies know it is important. But children don’t spend a lot of time with teachers or librarians or government agencies in their first 5 years of life, when all of this critical brain development and early literacy learning is happening. So it is MOST important that those who are a child’s first teacher, the parents and caregivers, know how important it is to share books and stories and words with young children – early and often. I know you’re thinking: “everybody knows that reading aloud to kids is important! This isn’t anything revolutionary!” Perhaps we DO know. But are we following through? Are we turning off the tv, sitting down with our children, and reading? The answer is: not as much as we should be. 37% of children are still starting kindergarten unprepared to learn to read. The read-aloud deficit is even greater in lower income areas, where children are less likely to have access to books or to be read to by a parent or caregiver. A report by the Packard and MacArthur Foundations found that children growing up in middle income families have had, on average, 1000 to 1700 hours of one-on-one read aloud time. Children in low income families, however, have only been exposed to, on average, 25 hours. 25 HOURS. This is a frightening disparity. So, what can we do to bridge this gap and ensure that ALL young children are entering kindergarten prepared to learn to read? Well, in my view, two important things need to be happening: First: We need to be reading to, and talking to, our young children, starting from birth. Second: we need to make sure all children have access to books. Libraries can do some things, and schools and teachers (especially the amazing Head Start and Preschool teachers) do so much already to encourage early literacy. But every one of you can have a major impact on the educational future of the children in your community by doing a few simple things: Talk to anyone and everyone who will listen about how important it is to read to young children. Give books as gifts. Visit the library, borrow books, and ask the librarians for recommendations of great read alouds. Support, financially, with your time, or in any other way you can programs that educate parents about the importance of reading with their kids and get books into those kids’ hands, like Reach Out and Read, and the Jefferson County Library Foundation. Most importantly, talk to, share books with, and READ to the young children in your life. So. There it is. The read aloud revolution that I want to start begins with you: parents, caregivers, teachers, librarians, ANYBODY who cares about children and their success. Together, we CAN change the world.